As an Apple fanboy, the obvious choice for a bit of inspiring design was always going to be one of their products; but trying to narrow it down to just one thing was a real struggle. Should I go back to the original musical gamechanger, the iPod? Or the iPhone which completely revolutionized the mobile phone industry and made a mobile internet connection into the new norm? What about the iPad, which made tablets into household products instead of toys for technocrats? Every one of these things completely changed the world, but they aren’t personal. They aren’t something that I stop and marvel at in my everyday life. They are abstract genius. The Apple AirPods are a tiny piece of technology that I use every single day, almost without thinking, that can still stop me in my tracks. They just work so damn well! The freedom that you get with wireless earphones is incredible. When you were physically connected to another device it felt like you were shackled in place, even when you had headphones plugged into an MP3 player or smartphone on your person it limited your range of motion. Now I can walk around while I am on a call in my home office. Just being able to stretch my legs and move around instead of being glued to the desk makes a world of difference to my comfort levels. They have a battery life of about 5 hours, but the case that you store them in is the charger. So every time that they aren’t in use, they are being recharged ready for another 5 hours of wandering around. The case can charge the actual buds up multiple times before it needs to be plugged in itself so I can easily go a week without even having to think about it. That same level of seamless, worry-free planning, has gone into every other part of the design. If I want them to connect to my phone, all that I need to do is open the case and put them in my ears. I have never encountered another Bluetooth device that connects like that, every single time. The majority of the AirPods functions are controlled from my iPhone or watch, but there are some brilliant little intuitive choices that have been built into them too. For instance, if I am listening to music and I take one of the AirPods out of my ear, the music pauses until I put it back in. It seems like such a small thing but the convenience of not having to rewind through a podcast to find the moment where you got distracted by someone speaking to you – or the moment when any of the million other distractions that pop up in daily life ambushed you – is priceless. 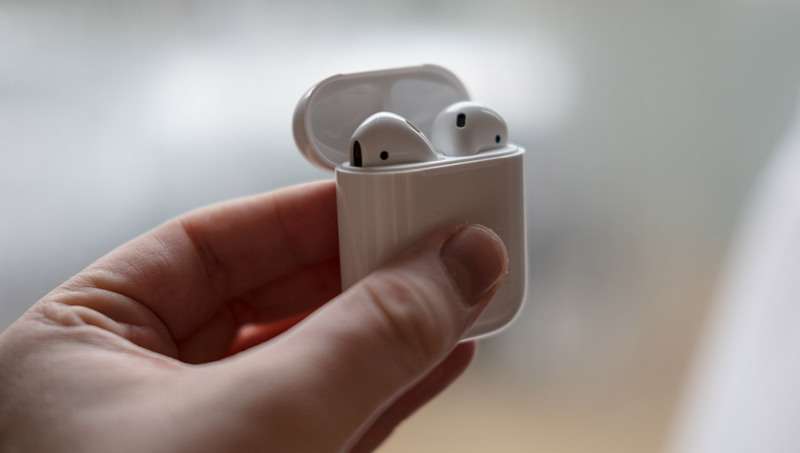 Every part of their design has been carefully thought out from start to finish, not just in the context of their intended use, but also in the intuitive way that AirPods slot seamlessly into their users lives. Eliminating pain points in the daily experience of their users that most people probably never even noticed. During Mark’s 12 years of industry experience, he’s worked at several leading research labs, collaborating with global brands in the media, telecoms, finance, entertainment and the public sector. He also heads up our UX Design team, who provide our prototyping, wireframing and UI design capabilities. With degrees in Cognitive Science and Human-Centred Computer Systems, and a doctorate in Sociology, he’s a vital cog in Sutherland’s collective brainpower – and a keen cyclist and bass guitarist in his spare time.